To all of our Warrior readers. We heart you! Meredith Bernstein, without whom the House of Night would not exist. Thank you to our wonderful St. Martin’s Press family! And a special thank-you to our friend, Kim Doner, who created the magickal art for this novella. It was a true pleasure to watch this story take form through her very talented pencil! Anger and confusion stirred within Dragon Lankford. Was Neferet truly taking her leave of them so soon after the death of the boy and their goddess’s cataclysmic visit? “Neferet, what of the fledgling’s body? Should we not continue to hold vigil?” With an effort, Dragon Lankford kept his voice calm and his tone even as he addressed his High Priestess. “As you wish, Priestess.” Dragon bowed deeply to her, wondering why his skin felt so itchy—almost as if he was covered in dirt and grime. He had a sudden inexplicable desire to bathe in very, very hot water. his conscience spoke softly to him. Dragon shook his head and set his jaw. Peripheral events did not matter. Feelings were no longer important. Duty was all encompassing—vengeance was utmost. Focus! I must keep my mind on the job at hand! Neferet paused to speak to Lenobia before she departed from the center of the campus and headed in the direction of the professors’ living quarters. Dragon barely spared her a look. Instead, his attention was pulled back to the fiery pyre and the boy’s flaming body. “The crowd is being dispersed, Sword Master. How many of us shall remain to watch by the pyre with you?” asked Christophe, one of his senior officers. 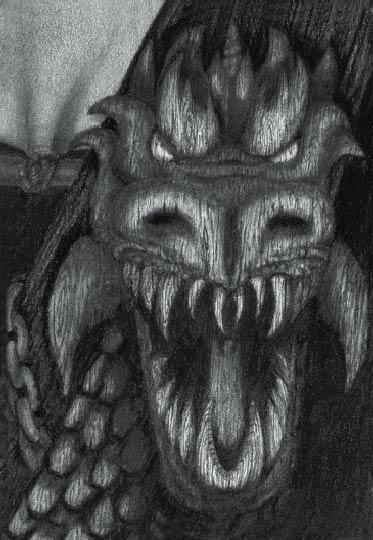 Dragon hesitated before he answered, taking a moment to center himself as well as to absorb the fact that the fledglings and professors who were milling uncertainly around the brightly burning pyre were obviously agitated and thoroughly upset. Duty. When all else fails, turn to duty! Christophe bowed and then began calling out commands, following the Sword Master’s orders with cold efficiency. It seemed only seconds had passed when Dragon realized he was alone. There was the sound of the burning pyre—the deceptively soothing pop and crackle of the fire. Except for that, there was only the night and the vast emptiness in Dragon’s heart. As if moving of its own accord, his hand went into his pocket. His fingers closed around the oval disk he found there. It was slim and smooth. He could feel only the faintest hint of the bluebird that once had been etched so clearly and beautifully on its face. The golden piece rested snugly in his hand. 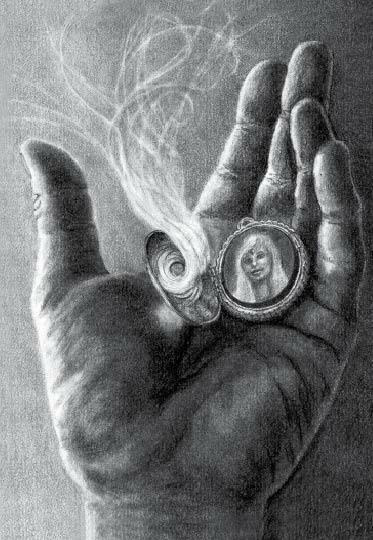 He cupped it, protected it, held it, before he slowly drew out his hand, the locket nestled within it. Dragon twined the velvet ribbon through his fingers, rubbing it with his thumb in a familiar, absentminded motion that spoke more of habit than thought. Expelling a deep breath that sounded more sob than sigh, he opened his palm and looked down. The light from Jack’s pyre flitted across the locket’s golden surface. It caught the bluebird design. “Missouri’s state bird.” Dragon spoke aloud. His voice was devoid of emotion, though the hand that held the locket shook. “I wonder if you can still be found wild, perching in the sunflowers that overlook the river. Or did your beauty and those of the flowers die out, too, along with everything else lovely and magickal in this world?” His hand closed on the locket, gripping it so tightly his knuckles turned white. 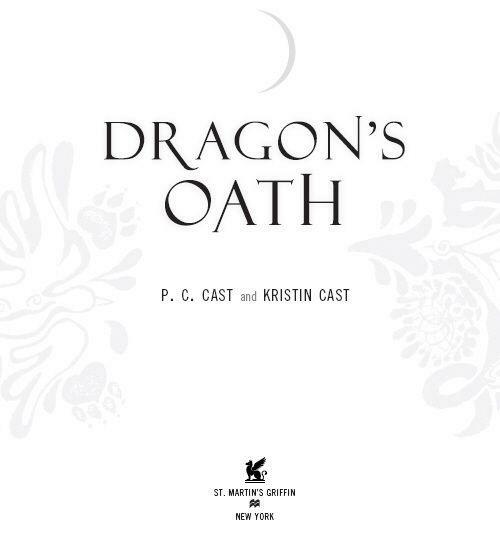 And then, as quickly as his fist had closed, Dragon released his hold on the locket, opening his hand and turning the gold oval over and over reverently. “Fool!” His voice was ragged. “You could have broken it!” Trembling fingers fumbled with the clasp, but when he finally unlatched it the golden piece opened easily, unharmed, to display the tiny etching that, although faded by time, still showed the smiling face of the petite vampyre whose gaze seemed to catch and hold his. 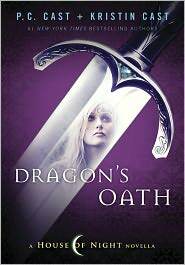 As if in response Dragon heard echoing in the night air the distinctive croaking caw of a raven. Anger rushed through Dragon, so hard and hot that his hands once again trembled—only this time he did not shake with pain and loss; he shook with the barely controlled need to strike out, to maim, to avenge. A gust of wind, hot from the pyre, blew suddenly strong. It lifted the lock of hair and, while Dragon fumbled unsuccessfully to stop it, the curl floated out of his reach up, up, up on the heated draft, almost feather-like. It hovered there and then, with a sound much like a woman’s gasp of surprise, the hot wind changed, inhaling, drawing the lock of hair down into the fiery pyre where it was turned to smoke and memory. Through the tears that filled his eyes Dragon watched the smoke from his beloved mate’s lock of hair whirl and dance before him—and then begin to shimmer magickally, changing from smoke to a dusting of green and yellow and brown sparkles that continued to curl around and around until they began to separate and form distinct parts of an image: the green sparkles became a long, thick stem—the yellow delicate petals of a flower with the brown circling within them to become its center. Dragon wiped his eyes clear of tears, hardly able to believe what he was seeing. “A sunflower?” His lips felt as numb with shock as his brain. It must be a sign from her! The image of the shimmering sunflower began to waver and change. The yellow flowed down in a cascade that became golden blond. The brown lightened to the color of sun-kissed skin, and the green melted down within the skin, swirling and morphing into shining orbs that became eyes that were turquoise and familiar and dear. “Oh, goddess, Anastasia! It is you!” Dragon’s voice broke as he reached out for her. But the image lifted–a glowing tease just beyond his fingertips. He cried out in frustration and then stifled the sound of his misery as his mate’s voice began to spill around him like a musical stream over water-worn pebbles. Dragon held his breath and listed to the ghostly message. I’ve bespelled this locket, for you: my own, my mate. The day has come when death forced us to part. You must know that for you, forever, I shall wait. So until we meet again I hold your love safely within my heart. Remember, your oath was to temper strength with mercy. The image smiled once at him before it lost its form and returned to smoke and then nothingness. As Dragon Lankford, Sword Master of the House of Night, held vigil over the body of a fallen fledgling, he stared into the burning pyre and let the flames take him back so that he could relive the pain and the pleasure—the tragedy and the triumph—of a past that had shaped such a heartbreaking future.